I cherish my memories of Ray Bradbury’s opening night talk at the Santa Barbara Writer’s Conference. His message never varied from year-to-year and I never tired of it: “It’s about LOVE,” he would shout. He was on the stage in his wheelchair, but his zeal transported you to a mountaintop with him. 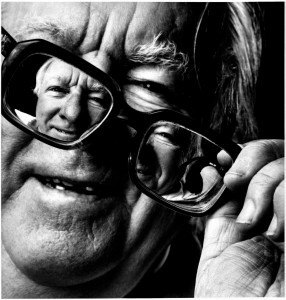 When someone as successful as Ray Bradbury says that the key to his success is his ardor for his work, I pay attention. Lots of people talk about the importance of “knowing your purpose” and “living your passion” but Ray Bradbury really did. Selling more than 8 million copies of his books in 36 languages, as documented in the New York Times, is enough to convince me. While this tidbit of wisdom was for writers who find themselves on the receiving end of more than their share of rejection, it is good advice for everyone. When you look at successful people, they have a cheering squad to support them through the tough times. Everyone needs a support team. Ray told writers to ask “what if?” to get their creative juices running. One of his favorite questions was to ask “What would your conversation be on an all-night train ride with one of your favorite authors?” Imagine what we all could dream up if we asked ourselves “what if?” on a regular basis. Ray started writing 1,000 a day as a youth and claimed he did so every day of his life from then on. He died last week at the age of 91, but he was still writing stories, producing plays, and writing screen plays and poems, 1,000 words a day on his Royal Typewriter. In the video below, Ray said that not a day went by that he didn’t have gratitude for being alive. He was 86 when he said it and he was astounded that he had lived so long. He credits his “zest, love and passion” for his long, successful and happy life. Look at this short video of Ray talking about how we are here to love our life. What can you do today to begin living a passion-driven life? Who can be part of your support team? What would you do differently if you asked “what if ?” How can you log your 10,000 hours? What can you do to cultivate gratitude every day? If you would you like to be coached on how to integrate Ray’s life lessons into your life, contact Dr. Lynn K. Jones for a free coaching session. P.S. Thanks in advance to anyone who chooses to share this blog link to friends! Bradbury loved what he did for years before the reading world did. He started writing pulp magazine stories for peanuts. He didn’t need success, although he seemed to relish it once it arrived. He was all about process, not results. Good point and a great lesson in that too! When we focus on the process rather than the outcome we are able to achieve more and ultimately have a far superior outcome. Beautifully written tribute. This is such a great inspiration for both writing and living. Thanks Lynn for taking the time to write this. Thanks for taking the time to comment, Debbie! I am glad that you found value in my thoughts about Ray for your own living and loving! I love that Ray was all about the love. His message to write 1000 words a day is very tempting. I’m in my passionate life, but want to do a bit of “what if-ing”. Great blog Dr. Lynn and I appreciated your take on Ray Bradbury and his words. He did, indeed! When I think of Ray I smile and I am sure countless others do as well. He left a wonderful legacy. Having just finished a conversation with a writer friend of mine about how to publish my book, this post was so remarkably poignant. I especially love the idea of writing 1000 words a day. That the consistency of doing what you love only makes you better and grounds us in our passion. Your lovely reminder to be conscious of our support team was a much welcomed reminder that I often lose sight of. Thanks so much for a perfect message at a perfect moment. 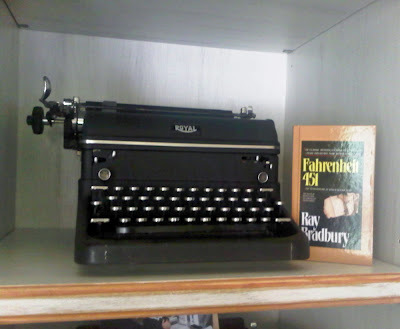 Ray Bradbury’s passion, joy and gratitude is inspiring. As is his exhortation to write 1000 words a day. Equivalent consistent effort put towards any goal would similarly reap rewards. Indeed, big goals are often achieved by taking a series of small steps. Doing it that way makes the journey less arduous. If you can combine this approach with Ray’s advice on “love what you do”, achievements & success become less of a chore and happen naturally. Thank you for your tribute to this wonderful man. Thank you, Maria. I agree that his advice really works for so many of the daunting tasks that we want to pursue in our lives. I find every time I revisit his words I find new meaning and applications for them. Ray was an amazing man and an amazing writer. Thank you for sharing this with us! This was great, Lynn. 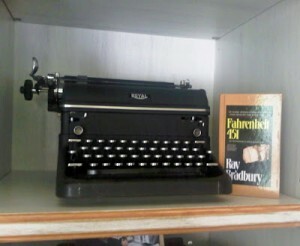 I’ve loved Ray Bradbury since high school term paper experiences (I had an amazing teacher). His advice goes so much farther than just writing. I was immediately taken with point #2 – “Surround yourself with people who love you and love what you do.” So many times as coaches, we miss that we have a cheering section, too, and that we’re not just that cheering section for everyone else! Thanks so much for the reminder. How lucky you were to have an amazing high school teacher that turned you on to Ray! It was those kinds of stories that kept Ray going on to the last moment! And yes, you are right that we all need our own cheering section! @prathima All great ideas, Prathima. All the best in leading a passion-driven life! This is about the best advice about finding your passion that I have read in a long time! Thank you so much… . @LesleyChamplin You are so welcome! Glad you found value in it!